We first heard about the Red Building on the Internet. 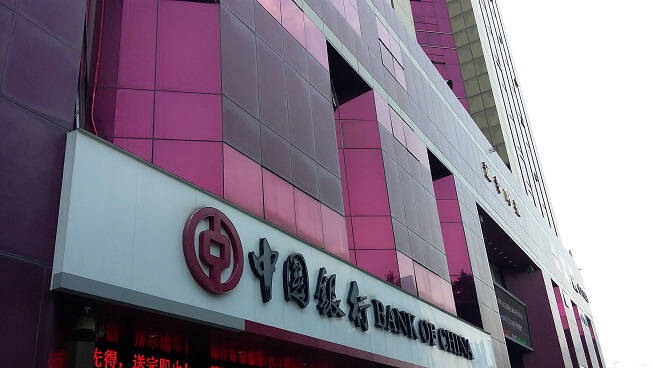 Nobody would really point at that metallic red-colored, candle-shaped (or horn-shaped) building which houses Bank of China without saying: "That building is haunted". Of course, why wouldn't they? Many rumors have spread, over the years, about the premise. They started as comments upon the weirdness of the color (the only one in the whole city), the peculiar shape of its architecture, and then went on whispering about suicides – yes, in the plural – that allegedly occurred to the same floor or floors. Until recent stories began to circulate, which plainly refer to the Red Building as a "haunted" place, with strange sounds and unexplained phenomena happening within its walls at night. The official records bear no valid evidence corroborating the idea that the Red Building is haunted. The company that built the premise is called Jia Guo Industrial Co., Ltd., a small subsidiary of Bank of China Group, created for the sole purpose of managing the property. The Red Building was developed in 1993, and completed in 1997. In 1999 it was sold out and purchased by several investors whose identities we have not been able to identify. Rumors have it that the sales (the candle-shaped towers is the corporate building, but the complex is composed of other reddish skyscrapers hosting apartment homes) were not going well since day one. The reason for this is fuzzy, but it seems that people didn't like the color nor the shape of the corporate towers. 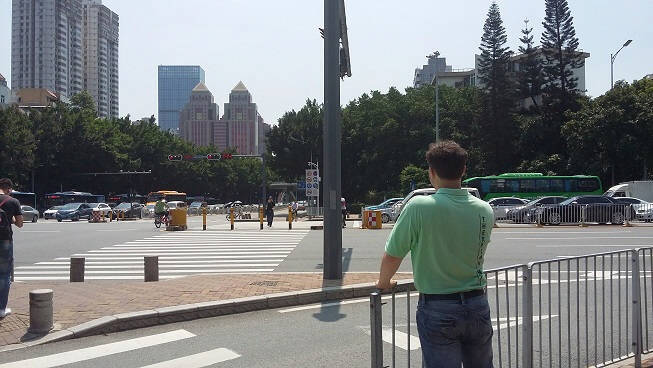 Another version state that there was no problem with the sales, for the building sits in one of the central areas of Shenzhen, the CBD in Futian District, which is extremely attractive both for residents and for businesses. All other apartments and offices in the neighborhood get sold out immediately. So we are confronting with two opposite versions regarding the Red Building, with no clear answers about why it was built and sold in a matter of few years. Now about the "haunted" part. Based on our research into Chinese sources online, there are several rumors speaking about strange phenomena occurring inside the Red Building, but no audio or video evidence of it has been produced. In personal blogs people write things like "The Red Building is really weird, so weird. There is someone on the 21st floor. The bathroom has some weird sounds. At night you walk in there and you would hear people washing hands, when in fact there is nobody in the washing room." Other stories relate to people who allegedly died inside one of the apartments. But again, they are just rumors, no conclusive data seems to exists to support (or debunk) such stories. We have found a blog on the internet, written in 2010, where the blogger wrote a long, analytical story about the Red Building, and for the only purpose to prove that there is nothing wrong in there, that the color is just an aesthetic finesse, and the candle shape has been chosen to have a better Feng Shui for prosperity and better life of the tenants. Feng Shui in China has been around for a long time, however modern science doesn't fully endorse its beneficial effects. Given the scientific tenure of this blog, therefore, the mention of the Feng Shui sounds a little contradictory. A last research was made into the company currently managing the property, and here is the other unusual finding: basically no information at all. The only thing on records is that this company manages the parking lot, maybe the building as well, but nothing written in words. There is no recruitment website. There is no company website. We found some names, like the Chairman's or the President's, but no records about them can be found. No contact information. So we don't know who these people are. As far as official records go, they are "ghost names". That the company exists we found evidence in its published tax history. However its Tax ID shows that the company failed to file tax returns for the past two years. The last time a filing was submitted is 2016; after that, the company has been listed as "in danger" for not updating their financial status. This is when we hit the wall. Dead end. We couldn't find anybody working for the company, so we must question its very existence to date. Then we decided to go take a look at the premise, although our policy never allows unauthorized investigations. In this case the Red Building hosts companies open to the public, so by entering and walking from floor to floor we wouldn't commit any violation. Upon entering the ground floor we were approached by a woman. We asked where we could find the management office, because that's where we thought any information on the building could be found.The woman gave us a weird smile, half hesitantly and half suspicious. This only stirred our curiosity further, so we asked if anybody had ever come into the building to ask the same question. She said no (but anyone who is interested to purchase an apartment or to rent an office must talk with the property management), pointing at the 4th floor, asking us to go up. So we went to the 4th floor and met with two women working in the office. We asked the questions directly: "Can we know the history of the Red Building? Where can we find data or records about it?" Their first answer was:"We are not allowed to release any information". We then explained that we didn't want to see proprietary data or sensitive data of the company, we just wanted to know if there were any public records about the Red Building's history. The womens' attitude grew more uncomfortable and hostile. Their second answer was: "there are no records". We sensed that either they didn't know anything, or they didn't want to speak. We left the office with the idea that some of the employees working inside the Red Building might have heard some of these stories, but wouldn't tell anyone. 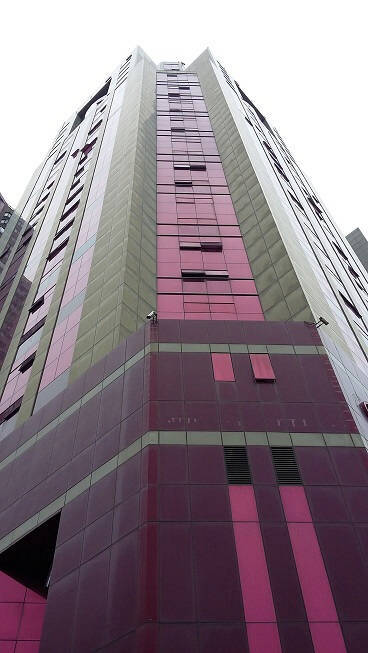 Few groups in Shenzhen did some research about the Red Building. 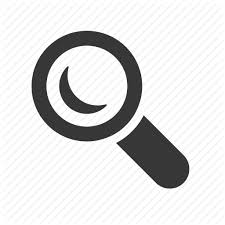 Some of them even went so far as to ask security guards about any strange occurrences happening inside, but all of them were adamant in denying to have witnessed anything unexplained. But the rumors around the Red Building wouldn't cease. 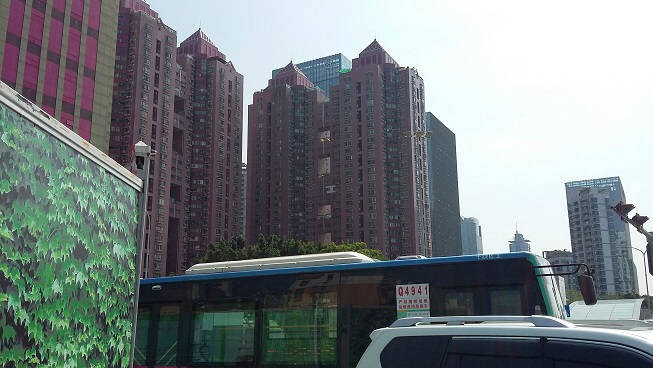 We want to find out why people are creating these rumors if there is nothing in that building, and why this urban legend is growing so much that if anyone who has been long enough in Shenzhen is asked about the Red Building, his or her answer invariably would be: "it's the most haunted place in Shenzhen". No one knows how these rumors started, and no one knows what exactly happened, but in a city with 20 million people and growing, to have such spreading rumors sounds odd to say the least. Truth of the matter is, if you punch in the "Red Building" name into any Chinese search engine, the first words coming up are "Ghost", and "Haunted". We are well aware that it will take a lot of research to get to the bottom of this case, and surely there are many people who are interested about why the Red Building appear to have no history, no records, no files regarding its existence. This alone offsets all the rumors about the place being haunted, for it looks like the place itself is, in fact, a "ghost entity".